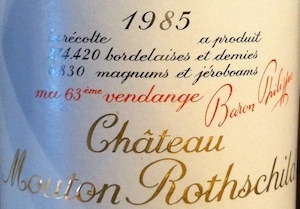 Great claret, indeed all great wine, is about balance – a point made oh-so-memorably by Château Mouton-Rothschild 1985 at a gala wine dinner in Dublin last night. The ‘building blocks’ – fruit, tannin, acid and alcohol – were all there in equal and harmonious measure, and as the wine approaches its 30th birthday they are seamlessly blending together into a whole that is far greater than the sum of its parts. I liken the ‘building blocks’ to runners in a race. 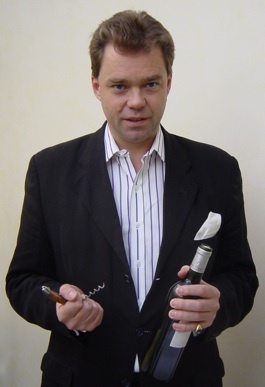 If all four can reach the ‘finishing line’ – the point of optimum maturity – in a dead heat, then you will have a superb wine but if one is way ahead or another has fallen behind then the wine will be out of balance and less satisfying. Mouton ’85 is supremely satisfying right now and is very much a child of that excellent vintage, relying as it does on elegance and poise to make an impression, rather than outright weight. Some other big names from the Médoc were also served: Pichon-Lalande 1996, Palmer 2003 and Lafite-Rothschild 1979 but none could rival the Mouton. 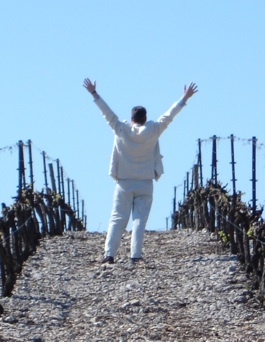 The Pichon was next best, still young yet very satisfying, with depth and richness aplenty. I predict a good future. The Palmer was a classic of the heatwave vintage, low in acid, big on dense flavour. It’s hard to guess how it will mature. The close cousin Lafite, admittedly from 1979, a lesser vintage than 1985, boasted a marked acidity that cried out for more fruit to balance it. But the night belonged to the Mouton. Great wine. Great memories.